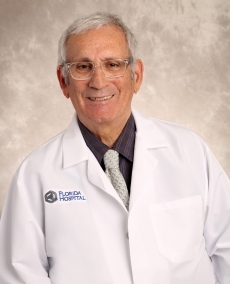 Select a Department7550 N Dale Mabry Hwy3615 W. Hamilton Ave.
Dr. Laurence Neufeld is a Family Medicine physician who has been practicing medicine in the Carrollwood area for over 30 years. Dr. Neufeld provides comprehensive medical care for patients ages 15 and up and specializes in preventive medicine, diabetes, weight management and chronic disease management. Dr. Neufeld earned his medical degree from Chicago Medical School before completing his internship and two residency rotations in surgery and urology at the University of South Florida College of Medicine. He then established his own family medicine practice in the Carrollwood area and has been caring for families and individuals ever since. Dr. Neufeld strives to provide compassionate care of the highest quality for patients of the Carrollwood community. Dr. Neufeld provides comprehensive and compassionate medical care for all of his patients.